Active DI for low-output instruments. 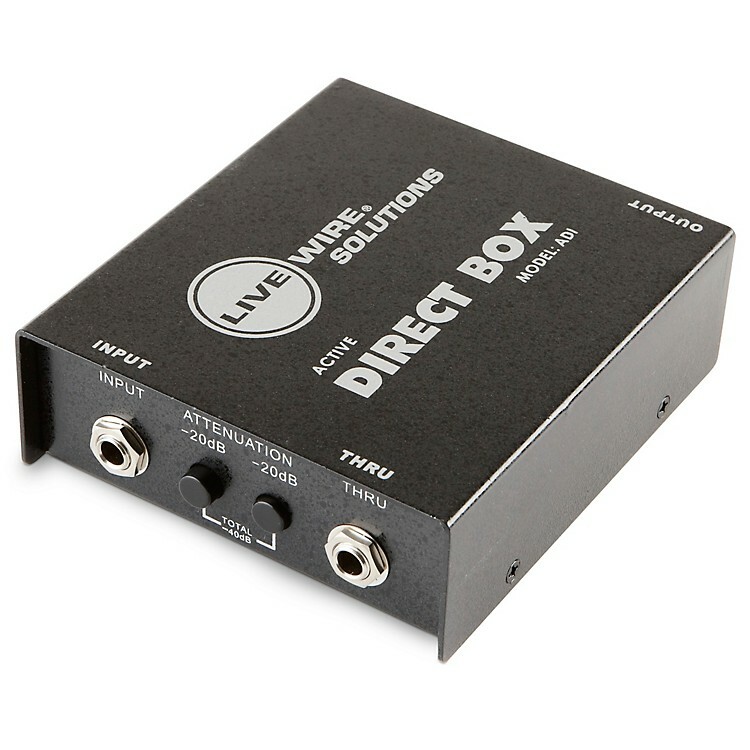 The Live Wire ADI Active DI Direct Box offers you 1/4" high impedance input and throughput, balanced XLR output. Ground lift switch, 0/-20/-40dB attenuation switches. Powered by 9V battery or 48V phantom power. Heavy-duty, all-steel chassis, rubber skid pad. In addition to cable products, Live Wire has taken expertise in audio interconnection and applied it toward a variety of tools that assist in common solutions for sound professionals. Encompassing equipment for studio and stage, Live Wire Solutions use the same no-compromise design philosophy used for their cables, with high-quality parts and attention to detail that make them dependable for crucial applications. For answers to your everyday challenges in music, your solution is simple: Live Wire Solutions. Need to send your vintage bass direct to the console? An ADI active DI will do the trick! Put it in the cart!